Many decades after the Munich dictate, there are still conflicts about whether we should have faced the enemy and lead more or less clearly a previously lost struggle. Many books and treatises on this subject have been written, and the interest continues, although history is irreversible and the subject is predominantly presented in the form of the unnecessary "what would have been if", combining reflections and speculation about the real possibilities at that moment. Experts - and not just military ones - analyze the chances of our defense, and they mostly lead to an unambiguous result: defeat would have been inevitable, just as a matter of time. 7 millions Czechs against around 100 millions of Germans (hard to count with Slovaks, who directed to fascist regime, which was confirmed after complete occupation of Czechia, when they immediately left Czechoslovakia and became an ally of Nazi Germany, however not all Slovaks agreed with it and some of them later joined Czechoslovak foreign units, fighting again Germans), being practically surrounded geographically by German territory, unfinished and not well armed border fortifications, not very good state of some kind of military technique, above all obsolete types of aircrafts and anti-aircraft weapons as a result of old-fashioned military doctrine (but our tanks, cannons and some aircraft were later used by the German army as Beneš predicted :-( ), pro-German politics and not friendly relations of the other neighbors (Poland and Hungary, participating in the annexation), but, enormous enthusiasm and will of people to fight, thus, high morale of soldiers on the other side. Our political representations at that time did not think about positive factors, and I would like to say that they committed one of the most significant, perhaps the most significant, mistake in the modern history of our country. People declared their disagreement by demonstrations, but the decision to accept the dictate by politics did not change. At that time, the Czech people felt betrayed by both friendly powers and Czechoslovak government. Today, after so many years, the situation seems to be a little bit different. Regardless of some lack of interest in the society, blaming us for the situation is in a minority. By far the most frequent argument of pragmatists, as well as in the fateful moments of President Beneš and other political representations of the state, the declared responsibility for the countless sacrifices of lives that the armed resistance would have brought is in the lead and that if we had rejected MA and defended our borderland, we would have been immediately accused of aggression and declared initiators of the war. Maybe, but the fault was on both sides. 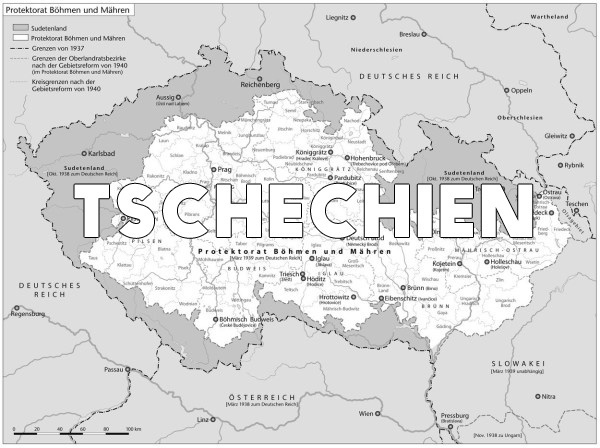 At all events, the historical result of the Munich dictate (“crowned” by the occupation of all Czechia in March 1939) is a permanent deep and open wound. We live in a long-term complex that has its roots right at that time and that situation (despite a number of people who did not resign and left to fight against Nazis outside of our territory). If we felt this historical failure also as OUR fundamental mistake, we would not have to suffer by it, being aware and prepared to not to repeat it. Homeland should be defended at all events. More, if we had decided to fight it would have changed the history of WWII, because Germans would have made obvious all their real intentions to all, which could have been the moment of awakening or dawning of other nations and some blaming us for initiating the war would have become absurd.